What can we say? 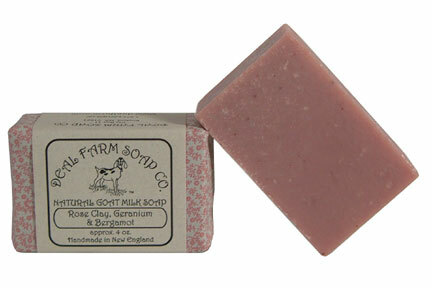 This is our absolute favorite soap! Rose clay is an extremely gentle kaolin clay, perfect for the most sensitive skin. It gently cleanses and exfoliates while improving the skin’s circulation. We’ve combined geranium and bergamot essential oils, resulting in a complex aroma of rose highlighted with citrus. The scent is both soothing and refreshing. A true indulgence! Geranium and bergamot essential oils are acclaimed for aiding with skin problems such as eczema and psoriasis. Recommended for all skin types. Especially good for dry, sensitive or mature skin.